For the past two months, my right wrist and hand have been wrapped up, more or less immobilized because of a silly accident I had at the beach back in August. As a right-handed person, this has been, at the very least, a bother. After surgery earlier this month, it was more than a bother, because my right thumb was totally immobilized for 10 days. It was only from this experience that I became painfully aware of the tyranny of right-handedness in the world. When your right hand – and especially your right thumb – is unavailable to you, and you are right-handed, you discover that the word is not built for you. Zippers on pants? They are made for right-handers. Scissors? Unless you can find and buy special ones, they’re made for right-handers as well. Door handles and door knobs? Can openers? Hand shakes? Men’s shirt buttons? Ditto, ditto, ditto, ditto and ditto. I am telling you, there is a tyranny of right-handedness in this world, and I had no idea it even existed! 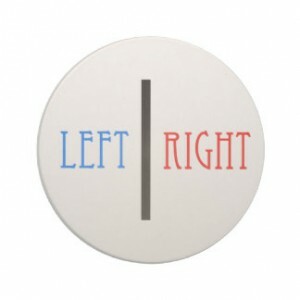 Of course, whenever I commented on this to left-handed people, they just laughed knowingly. For one of our church flea markets, I needed to cut out raffle tickets. There was no way I could do it, not with my thumb wrapped up to three times its normal size and immobilized to boot. So I asked one of the teen-agers to help, showing her my wrapped-up hand and making a crack about scissors being for righties only. She then told me she was a leftie, and had been forced to learn to cut things with her right hand. That’s the first time I even knew she was a leftie. Because I wasn’t paying attention before this. And my Big Brother? He’s a leftie who as a child was forced, by nuns, to learn to use his right hand. Now, he writes with his left, but still does a ton of other things as a rightie. Twas the way things were in those days, I suppose. But in talking with Big Brother about his experiences, he pointed out lots of other things that are right-handed (or mostly right-handed): Baseball gloves. Golf clubs. And from his time in the Army, automatic and semi-automatic weapons (the brass ejects from the right side). So, yeah, ever since I was a child and heard his stories, I’ve known – kind of – of the tyranny of right-handedness. But I never gave it much thought. After all, the world was set up for me, and I could cruise through life knowing – knowing! – that all was well. Because once I suffered that injury, and had my thumb and wrist immobilized, and then had the surgery, immobilizing my hand even more, I never once even thought about the privileges I enjoy as a right-hander. I know, my injury is a not a big deal in the greater scheme of things. My tendon soon will be healed, and I will go back to doing all those things I’ve always done, with such great ease, because I am, after all, right-handed. There is a tyranny of right-handedness in the world, but soon, it won’t affect me anymore. Because I’m right-handed, I could, if I wanted, even forget about the tyranny I experienced for two whole months of my life. But that’s not the point to this column. Forget about right-handedness vs. left-handedness. Instead, imagine that we’re talking about whites and blacks – and all other people of color – in this county. 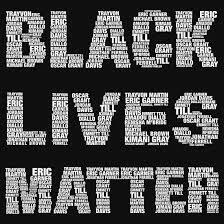 Imagine we’re talking about #BlackLivesMatter. And #NativeLivesMatter. And #LatinoLivesMatter. And #AsianLivesMatter. NOW does the tyranny of white privilege makes sense? Because that’s what I’m really talking about.